A disaster is defined as a sudden accident or a natural catastrophe that causes great damage or loss of life. Each day people around the world are touched by events that destroy their properties. 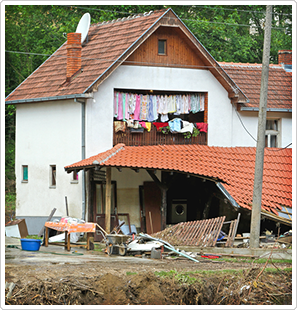 To alleviate stress and trauma, appropriate disaster response is necessary. At East Coast Environmental Restoration, our experts utilize disaster restoration practices and advanced educational disciplines to restore your property and life back to its normal state. Not only is our team available 24 hours of the day, 7 days a week, but we also have the ability to travel to any part of the country at a moment’s notice. We have experience in all natural catastrophes such as hurricanes, tornadoes, floods, mudslides, and fire restorations. No job is too big for our experts. If you are seeking immediate disaster relief, rest assured that we will respond promptly to the matter.